RAC Fuel Watch data for April shows motorists have suffered the second consecutive month of price rises at the pumps as a result of a 25% increase in the cost of a barrel of oil from $36.51 to $45.49 (1 & 29 April), leading to the highest price since 10 November 2015 – $45.62 on 28 April. The escalating oil price is the primary reason behind the forecourt increases with the average price of both petrol and diesel going up by more than 2p a litre to 108.27p (from 105.64p) and 108p (from 105.41p) respectively. The wholesale cost of petrol rose 2.5p whereas diesel increased by 4.6p a litre. 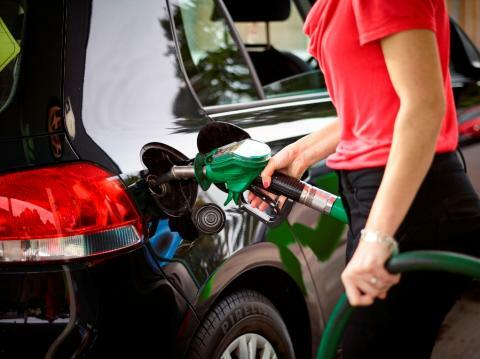 The petrol price rise has added another £1.45 to the cost of filling up a 55-litre family car (£58.10 to £59.55) on top of the £1.84 increased cost seen in March, making for a combined increase of £3.29p since 1 March. The cost of a tank of diesel rose by a similar amount in April – £1.42 (£57.98 to £59.40) on top of the £2 increase seen in March – making a two-month jump of £3.42 for a fill-up. Supermarket average prices rose by 3p a litre for both fuels with petrol rising from 102.68p per litre to 105.85p and diesel from 102.58p to 105.76p. RAC fuel spokesman Simon Williams said: "The physical or spot price of Brent crude oil saw its largest one-month gain in price in the past 12 months. While this has had an adverse impact on the price motorists are paying for petrol and diesel on the forecourt, the world is still producing too much oil which means prices should not rise much further, and may stabilise or even start to fall again. “It’s worth remembering that while prices have gone up in both March and April motorists are still paying 7p per litre less for petrol and 11p per litre less for diesel than they were at this time a year ago which means a tank of unleaded is more than £3 cheaper and diesel is £6 less expensive. “The world oil market is currently in a very unusual situation. For some time OPEC – the Organisation of the Petroleum Exporting Countries – has been operating an overproduction strategy to keep prices low to stop the US producing oil from fracking, but April saw reduced production from Iraq and Nigeria due to supply disruptions and from the United Arab Emirates due to maintenance, which alongside a US fall in production, appears to have led to the oil price going up. Across the UK, the South East saw the biggest increases with more than 3p a litre going on both the average prices of petrol and diesel – unleaded went from 105.48p to 108.89p and diesel from 105.52p to 108.9p. The East Midlands recorded the lowest petrol price rise of 2.77p a litre from 105.4p to 108.17p whereas the price of diesel in Northern Ireland was the lowest, only rising by 2.63p a litre from 104.02p to 106.65p. * Regional prices based on 31 March to 2 May 2016. 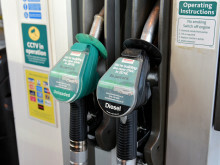 UK average prices on 31 March – petrol 105.26p; diesel 105.26p. 2 May – petrol 108.46p; diesel 108.35p. * The core data for the April RAC Fuel Watch report is based on an analysis of Experian Catalist average prices from 1-28 April. 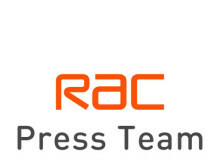 For all media enquiries, please contact the RAC press office team on +44 (0)1454 664 123. The line is manned by an on-call press officer outside office hours. For the very latest news on UK fuel prices, check RAC Fuel Watch or follow #racfuelwatch on Twitter. This is a comprehensive guide to the latest UK unleaded petrol and diesel prices – both at the wholesale level and at the pump. RAC Fuel Watch analyses how prices changed through the previous month and compares the most recent prices with those from three, six and 12 months before.